We lubbz dwessin’ up and Momma lubbz to make us kool owtfitz….otayz, Momma tolded me to say dat. Eeder way we wud wike to weveal owa costoomz!!!! 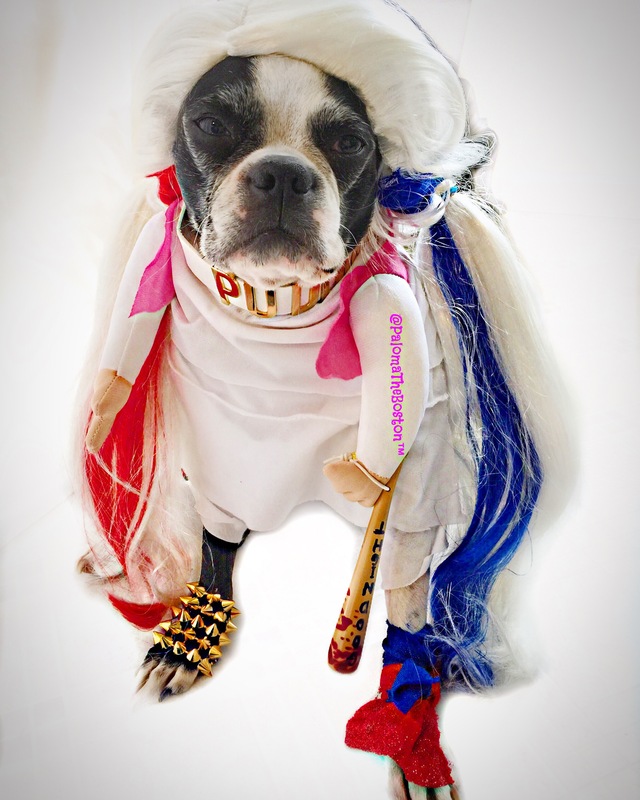 First, I ben hearin’ dat awott ob girlz iz dwessin’ up az #HarleyQuinn fwom da #SuicideSquad…..but nunna dem can rock it wike meeeeez!!!!! So now I gessin’ yoo wanna see mai broski in himz costoom…Fur doze ob yooz who don’t noze Johnny (@JohnnyTheFrug on Twitter) we ‘dopted him fwom #MidwestBostonTerrierRescue. Seemz dey pulled him fwom a shelter affer he wuz caught livin’ on da mean stweetz. I noze, I noze-Johnny ain’t no Boston Tewwier BUT him IZ a fellow smushy face so dey saved him. Now he mai brudder and if yoo wanna get all technicalz, Johnny iz haff Pug and haff Fwench Bulldog. 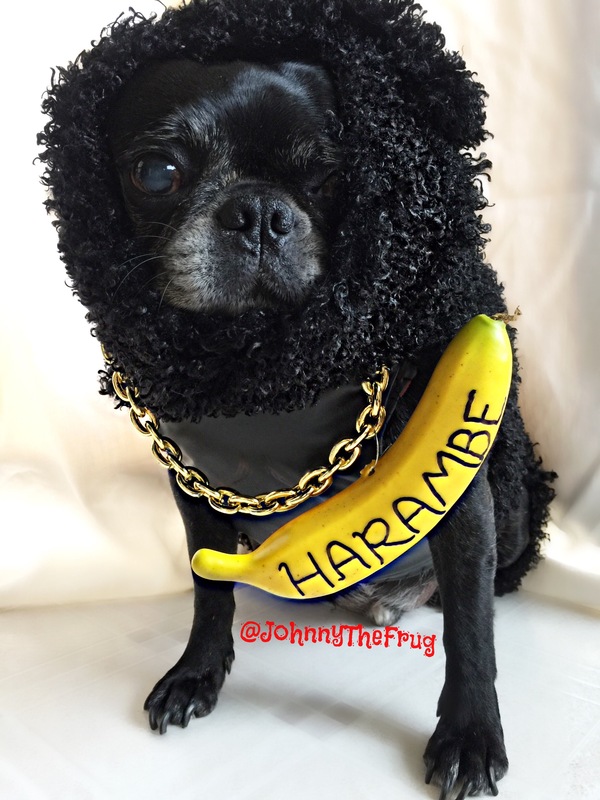 Dat makez him a #FRUG! Jeez….enuff abowt Johnny aweddy!!! He goin twick or tweating az da Late, Gweat…. Shoot me a FWEND WEQUEST on TWITTER! Yoo can find me @PalomaTheBoston!